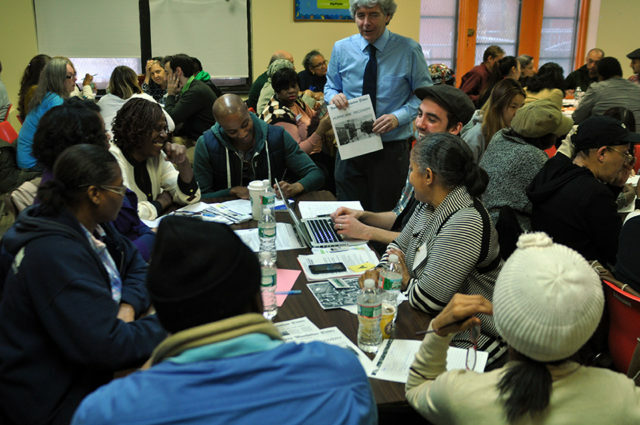 The Northern Manhattan Climate Action (NMCA) Plan is the result of a community-based planning process held from January through July of 2015. The process included seven public workshops, hundreds of community members, dozens of meetings with partners and city agencies, and countless other conversations and correspondences. Download the full plan here, or contact our communications team for a printed copy (communications@weact.org). Funding for the NMCA plan is supported by Kresge Foundation. A glossary of climate change and justice related terms.